That funny white thing with wings is a giant monument to the French Resistance. 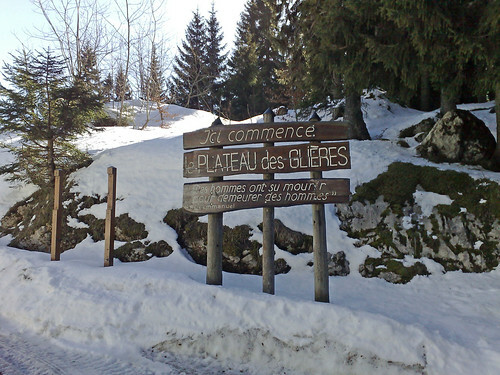 Glieres was a major base in WW2 for the Maquis. 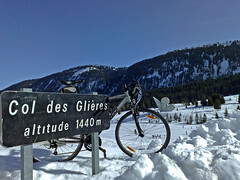 On days like this, cycling in the mountains is mandatory. 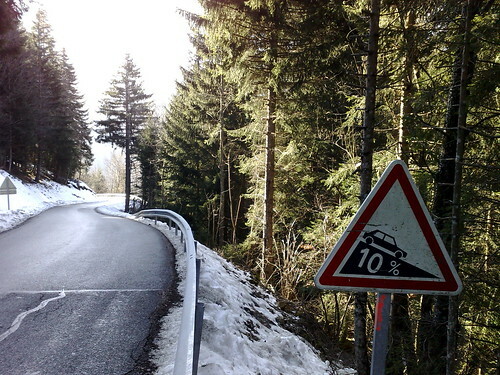 My fingers were crossed that the road would be open to the top. 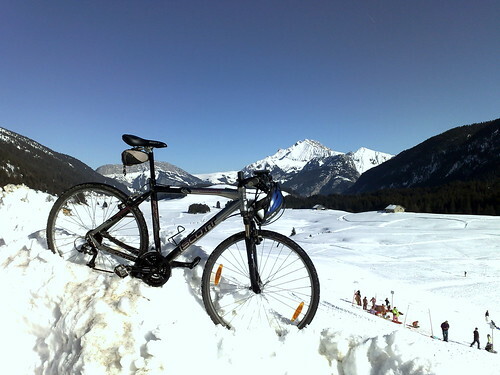 And no worries, I could have used a road bike, the road was so clear. 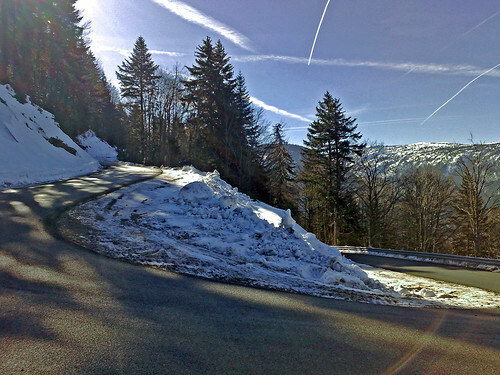 This is a fantastic ridge road up to the Plateau des Glieres. Famous as a French resistance base in World War 2 – and the site of the biggest battle between the Nazis and the French resistance. Wikipedia Article. In the photo that funny white thing is the monument. There is an information center and signed hikes which detail the history. In the winter it’s also a great cross-country ski centre and given the school holidays and the perfect weather there were a lot of people at the top. 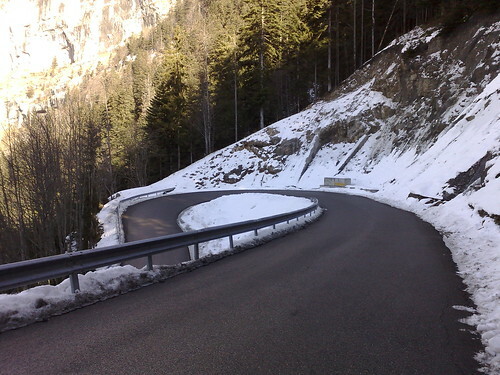 The road is quite steep in places and has superb views of a waterfalls and various Alps. I climbed the equally interesting East side in December. 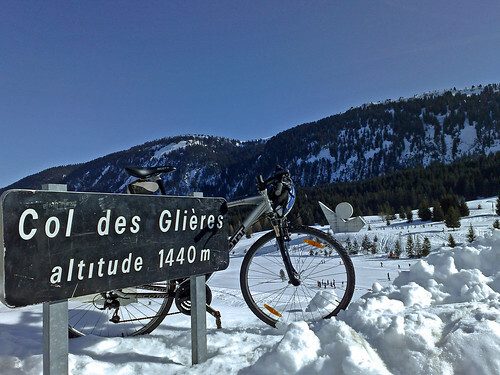 Both sides are steep but doable by road bike, but there is a 2 kilometre non-paved stretch on the Plateau that links the routes. So if you want to do a loop you need to ride gingerly or briefly walk.